From free yoga to a bike camping trip, here's all the Philadelphia fitness events to put in your calendar ASAP. 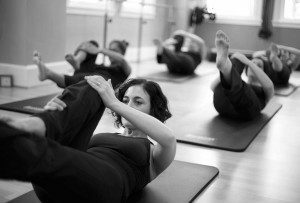 By Lauren Earnshaw·	 7/31/2018, 1:13 p.m.
With three opportunities to do the Best of Philly Best Workout Trend (puppy yoga! ), an Olympic gold medalist’s shooting clinic, a SUP clean-up event, and a bike camping journey, August in Philly is looking pretty great. FREE BREAKFAST GRIND: MIXED TERRAIN SOCIAL RIDE Join Brewerytown Bicycles for a mixed-terrain social ride, ranging from 20 to 30 miles. They bring the coffee; you bring the cup! BYO snacks, too. Meet up at their Brewerytown location (2819 W Girard Avenue) every other Wednesday morning. Find more info here. Free, 8 a.m.
FREE WELLNESS WEDNESDAYS Every Wednesday (ending August 15), join local studios at The Oval for free fitness classes from 5 to 8 p.m. This Wednesday, look out for the CKO Kickboxing classes, which integrate elements of kickboxing and boxing, offered at two different times. Power Yoga with Yoga Habit is also on the schedule. Visit The Oval’s site to view the calendar and event details. Free, 5, 6, and 7 p.m. FITNESS ALIVE’S SPLASH + SWEAT Fitness Alive is hosting a Splash + Sweat Pool Series at Riva Health + Wellness on Thursdays this summer. The high-energy aquatic boot camp will be hosted by Best of Philly trainer Holly Waters. Get your ticket(s) here. $22 for one class or $60 for all three classes, 6 p.m.
FREE ZUMBA WITH A TWIST WITH LILA Head to World Gym Fitness Center for a free Zumba class featuring movements inspired by Latin American dance and great music. Register here. Free, 6 p.m.
FREE VIRTUAL TOTAL BODY SWEAT Join SerenaFit for a live and interactive session in the virtual training studio (classes hosted through Zoom). The total body workout will be hosted every Friday until August 24, and all you need to do is grab some three to eight-pound free weights (suggested, but not required) and then follow along from the comfort of your home. View the event page for more information and to register. Free, 6:30 a.m.
SEVA PADDLE + CLEANUP WITH UNITED BY BLUE & CLEAN OCEAN ACTION Calling all SUP enthusiasts and environmentalists alike! Aqua Vida is collaborating with United By Blue and Clean Ocean Action to host a donation-based Stand Up Paddle Boarding Cleanup, part of their Seva (selfless service) Nights. 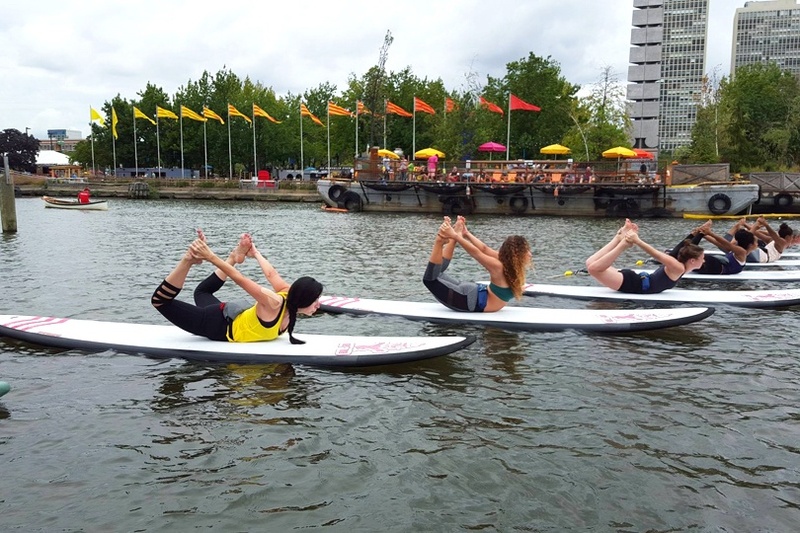 The event, at Spruce Street Harbor at Penn’s Landing Marina, will include an intro about their water conservation and preservation efforts in Philly, a Stand Up Paddle Boarding Cleanup of the harbor, and an after-party (on a sailboat!). Read more and sign up here. $25 to $55 donation, 6 p.m. THE MISCONDUCT MILE For those who run (or walk) away from the term ‘5K’, this race is just a 1K! Misconduct Tavern is hosting this run, which benefits the Children’s Hospital of Philadelphia. The beer-fueled race is sponsored by Terrapin Beer Co, as runners will start with a complimentary beer and end holding a medal, second beer, and burger of their choice. This will all begin at Misconduct Tavern’s Rittenhouse location and will end at their Logan Square location. All ages welcome, but participants must be 21+ to drink. Visit the event page for further info and tickets. $30, 11 a.m. STOMP THE GRAPES 5K RUN/WALK More of a wine person? This 5K is set to take place in Egg Harbor City, NJ through the Renault Winery. The race will begin at the Tuscany Hotel (also the end point). Finishers will receive a complimentary glass of wine (21+) and a souvenir wine glass, and a special lunch buffet (additional $12) at the Renault Winery following the race. Sign up ASAP to also have the chance to snag a t-shirt! Read more information and register here. $35 if before August 3; $40 on race day, 9 a.m.
HOTTER THAN HOT WINGS 5K Manayunk Beer Runners wants you to join them at Union Tap House for their Hotter Than Hot Wings 5K. This is a fun run; it will not be chip timed. Ticket purchase also gets you a t-shirt and a free beer. All proceeds go to North Light Community Center as part of the Philadelphia Mayor’s Cup fundraising initiative. Ticket sales end August 1, so get your tickets here. $20, 11:30 a.m. FITNESS ALIVE’S PADDLE + SPLASH Fitness Alive is teaming up with Aqua Vida for a pool circuit workout. The workout will have different stations, one being a HIIT workout on Aqua Vida’s paddle boards. Up for the challenge? Sign up here for the class, which will be held at Riva Health + Wellness. $22 for one class; $60 for all three of the series, 6 p.m.
PUPPY YOGA AT THE LOGAN HOTEL Participate in the Best of Philly Best Workout Trend, puppy yoga! Morris Animal Refuge and Amrita Yoga & Wellness are hosting two puppy yoga sessions at the Logan Hotel. Bring your own mat and towel. They’ll bring the puppies, so you can do downward dog with real dogs during this vinyasa flow. Get your tickets for the event here. $25, 12 and 2 p.m.
PHILLY MAYOR’S CUP It’s a 5K Cross Country Race, 5 Mile Road Race, 10K Trail Race, 10 Mile Road Race, Half Marathon Trail Race, and Kids (Almost) Mile Fun Run: all on the same day. The Philly Mayor’s cup has many race choices for fast and slow runners alike. So, join a team and sign up for a race. View the event site for all the info. Prices vary, first race at 6:30 a.m.
CARLI LLOYD SHOOTING CLINIC Got some kiddos who want to improve their shooting skills? Nine to 18 year olds can join two-time Olympic gold medalist, FIFA Women’s World Cup champion, and 2015 and 2016 FIFA Player of the Year, Carli Lloyd, for her Carli Lloyd Shooting Clinic! She will be on site, demonstrating her shooting techniques. For tickets, directions to the field, and further event details, click here. 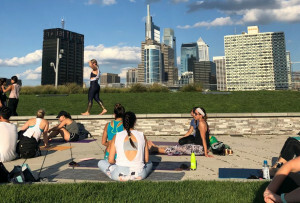 $160, 8 a.m. and 1 p.m.
FREE YOGA IN THE PARK Led by Colette Marie of The Rittenhouse Spa & Club – Hair by Paul Labrecque, all you need to do is bring your own mat or towel for this free yoga class. Show up for check-in at 5:45 p.m. on the sidewalk in front of the Rittenhouse driveway. The class will be held on both August 14 and August 28. Register here. Free, 6 p.m.
VIXEN WORKOUT SLAY & SIP Hosted by VixenArmyTasha, the Vixen Workout on The Deck Philly at the Moshulu is a cardio dance fitness class. 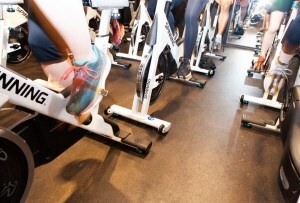 It involves simple choreography, cool music remixes, and disco lighting — basically a party that you can call a workout! The 60-minute class will be followed by Ladies Night at The Deck, so you can enjoy food and drink specials (starting at $5) after your killer workout. Register here. $10, 6:30 p.m.
FREE 2018 ALL CITY SUMMER BEER RUN 5,000 Yards Dash and Fishtown Beer Runners are collaborating to bring all the running clubs in Philly together. If you’re not in a club, that’s no problem; you can join any of the clubs or join the city-wide group. The run will finish at Yards Brewing Co. (recently named Best Of Philly!) on Spring Garden for the party. To read more about the event and see the participating clubs and their start times, view the event page. Free, various start times, with the first at 6 p.m. FITNESS ALIVE’S PUNCH + SPLASH Fitness Alive’s Holly Waters will lead Punch + Splash at Riva Health + Wellness. In this workout, participants will go from pool to punching bags. You’ll need two towels for this combo workout. Get your tickets here. $22 for one class; $60 for all three of the series, 6 p.m.
GLO-GA After coating yourself in glow-in-the-dark body paint and jewelry, Yoga Hive Philly’s Sarah Wingert will lead this flow in the dark. Ketel One will be sponsoring this Yoga Hive event with specialty Glow In The Dark cocktails following the class. Bring your own mat, or rent one for $2. Tickets available here. $25, 8 p.m.
FREE BOTB ANNUAL BEACH WORKOUT/DAY Take a break from full-on vacationing for a killer workout on the beach! BEST of the BEST Family Martial Arts & Fitness is hosting the workout on the 13th Street Beach in Ocean City, NJ. Feel free to park at the 13th Street Bath House, where you can access bathrooms and showers. Visit the event page to find out more info. Free, 9 a.m.
TRI THE WILDWOODS Looking for triathlons, a 5K, and children’s races at the shore? This event is perfect for you. For the 15th year, the event is back with free beer and a free hot buffet. The runs themselves include two triathlons or aquabikes of varying distances, a 5K (supporting the Lunch With Lynch Foundation), and Wild Child Races. Click here for more information on what each race entails, times, locations, and to register. $30 to $235 depending on race, first race at 6:30 a.m.
WAGS AND WORKOUTS Six classes to choose from and a puppy cool-down session — sign us up! Morris Animal Refuge is bringing this experience to Fitness Works Philadelphia. There will be a Step and Tone class, Spinning class, Aqua Fit class, Total Body “Werrkout! !”, Basic Yoga and Stretch class, and a Zumba class. These dogs are looking for permanent homes, so be prepared to fall in love with their furry faces. Tickets can be purchased here. $25 donation, first class at 9 a.m.
BIKEOUT BikeoutPHL hosts this bike camping journey which includes a 38-mile ride, camping, local food, and music. The five-hour bike ride will be along the Schuylkill River Trail to CampHill Kimberton, which is a farming community right outside of Phoenixville. Don’t worry about lugging extra weight during the ride — you can pay to have your packed bags transported straight to the farm for you. The event goes from August 25 to August 26. Find further event details and tickets here. $125, 3 p.m.
ROOFTOP YOGA FOR THE PUPS More puppies! This time it’s rooftop yoga that helps dogs in need. Franklin & Whitman is teaming up with Georgina Bebari to put on this event at Bok Bar in Philly. Besides the rooftop yoga session, included will be a Franklin & Whitman swag bag, Sweetgreen for lunch, refreshments provided by Honest Tea, and raffle prizes. Oh, and those adorable rescue dogs. Yoga mats provided. Buy your ticket here. $35, 10 a.m. BENDS & BRUNCH AT PORTA PHILLY Yoga and brunch are two of our favorite things. Bendy Jane Yoga will lead the class at Porta, after which you’ll immediately get a pre-poured mimosa while you wait for your private brunch. Tickets are running low, so buy one ASAP here. $30, 10 a.m.
AFROBEATS BURNOUT PHILADELPHIA Hosted by Hurricane Fitness, this class involves dance and aerobic movements, featuring energetic African music. The dance workout will burn fat, strengthen your core, and tone muscles. Get your ticket for the class, which will be held at World Gym Fitness Center, here. $15, 10 a.m. THE PHILLY 10K This 6.2-mile race passes through South Philly and Center City, giving an authentic feel for the city as it passes through 13th Street, East Passyunk, Italian Market, and many other iconic blocks. Included with the ticket is race entry, a PBC beer, a race shirt, Shake Shack, Federal Donuts, ice cream, and a keepsake for finishers. Visit the event site for all the details. There’s currently a waitlist for entry. $69, 7:30 a.m.